At least 2 or more rooms have Gold’s Gym matting over your beautiful hardwood floors. You are going to put matting in the rest of the house soon so the dogs won’t slip. Your dogs have their own general practitioner vet, sports dog/orthopedic vet, physical therapist, chiropractor, dentist, and surgeon. Each of these has been carefully chosen through many references. Meanwhile, you go to the closest doctor listed in your insurance plan and you’re long overdue for a visit. 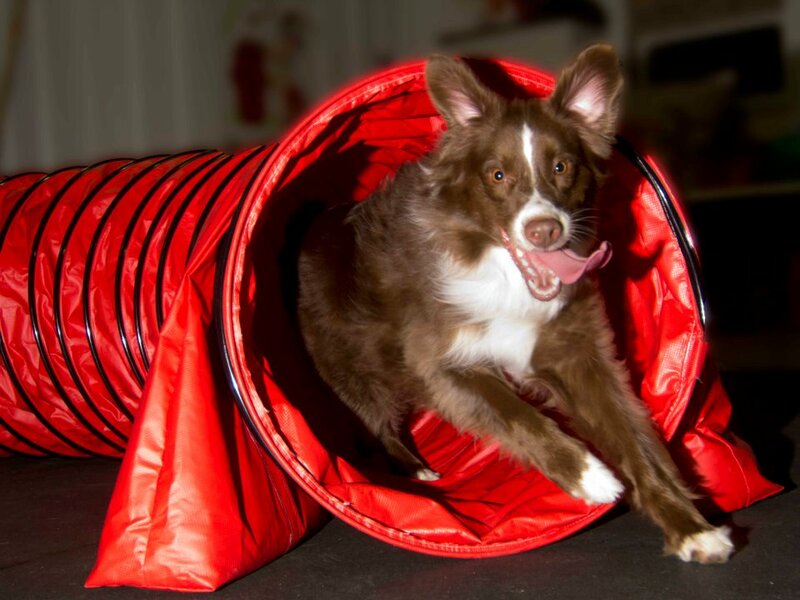 You have a room full of Fitpaws equipment and a dog treadmill. You’re on a first name basis with the local butcher that supplies their raw diet. You spend hours picking up, bagging, defrosting and preparing the dog’s meals. Meanwhile, you make yourself a bowl of cereal. You get excited when you see that chicken liver, beef tongue, or turkey necks are on sale at Walmart. Vacations are determined by when and where Nationals is and/or when and where you can go to a seminar. And you look for trial opportunities on the route there, at your destination, and on the way back. There are a very small number of people who are allowed to take care of your dogs should you have to leave any of them home while you’re off at a trial with another dog. You are lucky if that number is more than one. 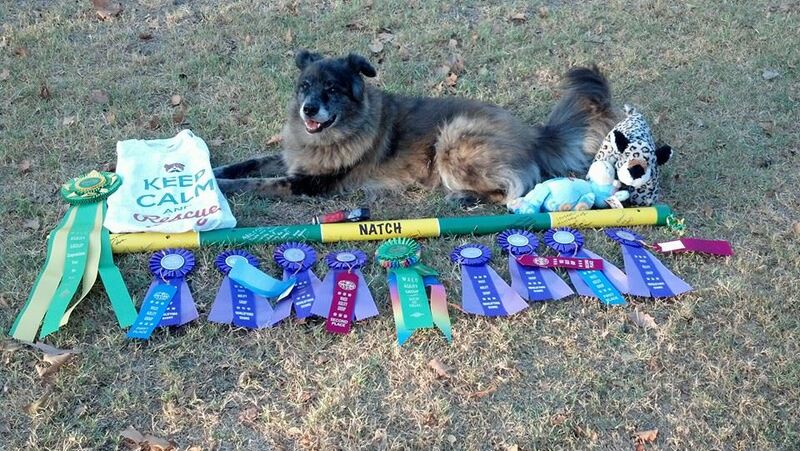 Your dogs have top-of-the-line custom made collars, leashes, toys, beds, and Back on Track jackets. Meanwhile most of your clothes come from Walmart, Target or some other discount clothing store. The only exception to this is that you will spend money on a dog related Tshirt or shoes you need to run agility. It seems you can never have too many dog crates. And the easier they are to transport, the better. The last vehicle you bought was determined by how many crates you could fit in it and how high the dogs have to jump to get in and out. If you ever have a financial windfall, your first thought is that you can buy Item xxxx for the dogs. You are an online dog class junkie. And you know many of the other online dog class junkies from multiple classes you all have taken and through Facebook. And all of you are dog sports fanatics! 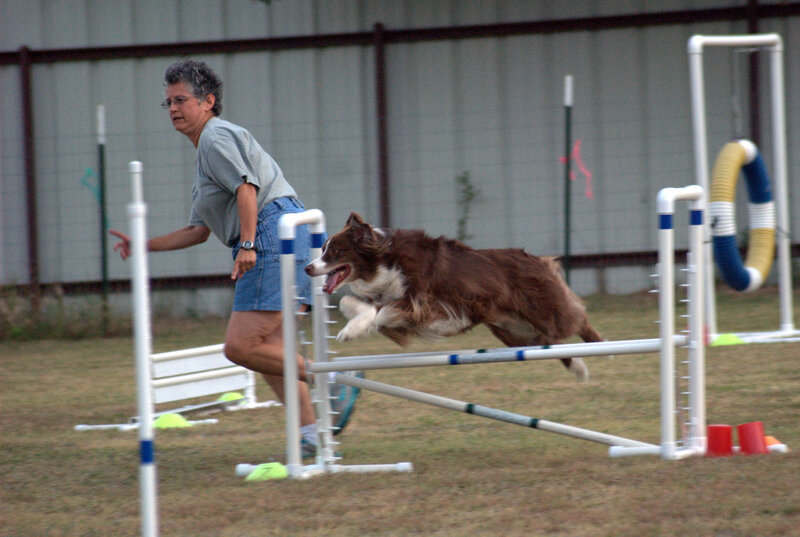 Cowtown Dog Sports offers classes in Dog Agility, Rally, Obedience and More just west of Fort Worth, Texas. See our latest schedule for upcoming classes.